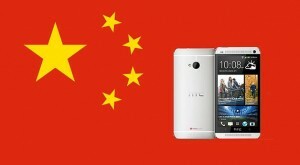 Home » News Android » Is HTC hoping that the China will be the company’s saving grace? Is HTC hoping that the China will be the company’s saving grace? Reports from the WSJ indicated that HTC is working on a custom smartphone operating systems designed specifically for the Chinese market. Several years ago, HTC expressed interested in either creating their own OS or branching out and buying one. With their woes as of late and lackluster sales, it seems that the intrigue of the Chinese market has finally pulled them in and pushed them to bring their plans to fruition. While the OS in question isn’t expected to be anything other than an Android variant, HTC seems to be keen on the idea of promoting something unique to China. 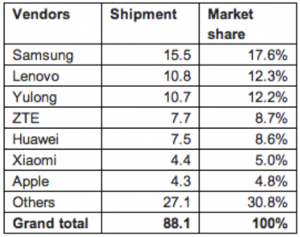 In addition, the growing Chinese market is definitely a tempting nut to crack. With the growth away from a largely “budget” handset market, China is starting to demand more mid and high quality devices be accessible to them. This is even showcased by companies operating inside China such as Huawei which has emerged on the global market with a bang with the release of their Ascend P6. Apple is also hoping on the bandwagon of other larger manufacturers with their rumored mid-class iPhone 5C. As of right now. HTC is currently struggling in quite a few markets and even a recent Canalys report in the Chinese market does not bode well for HTC, listing them under the “Other” category. As such, even the foray into the Chinese market with a unique OS is a huge gamble for the Taiwanese company and may be HTC’s attempt of gaining even just a little bit of a foothold into this emerging dragon market. Either way, it’ll be interesting to see how this plays out. With their constant stream of failures as of late, maybe China will actually be a saving grace for HTC?